Which baby monitor range received the prestigious Canstar Blue Best Baby Monitor award for 2018? And also clocked up a near-perfect score in all categories including image quality, reliability, sound clarity and value for money? We’ll give you a hint … it also claimed the Mother & Baby Most Popular Baby Monitor award this year – and quite a few other years too. Still not sure? 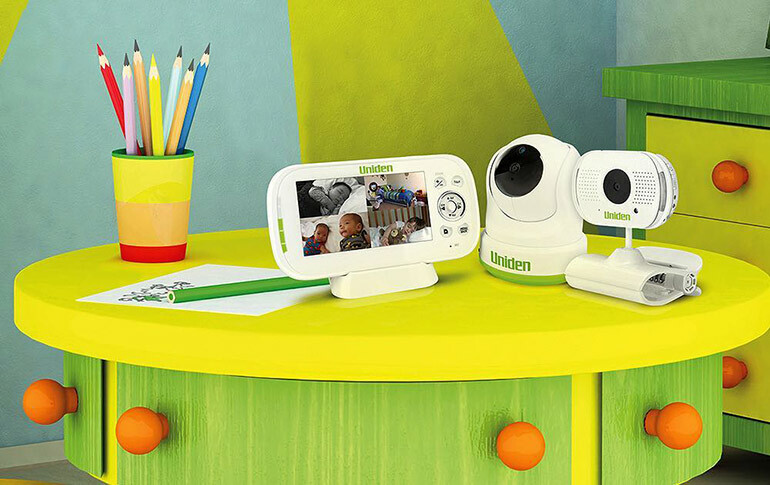 Okay, okay we’ll tell you – it’s the Uniden Baby Watch baby monitor! The popular electronics company is officially the master of baby monitors with this award-winning Baby Watch range. But what makes these Uniden baby monitors so special? 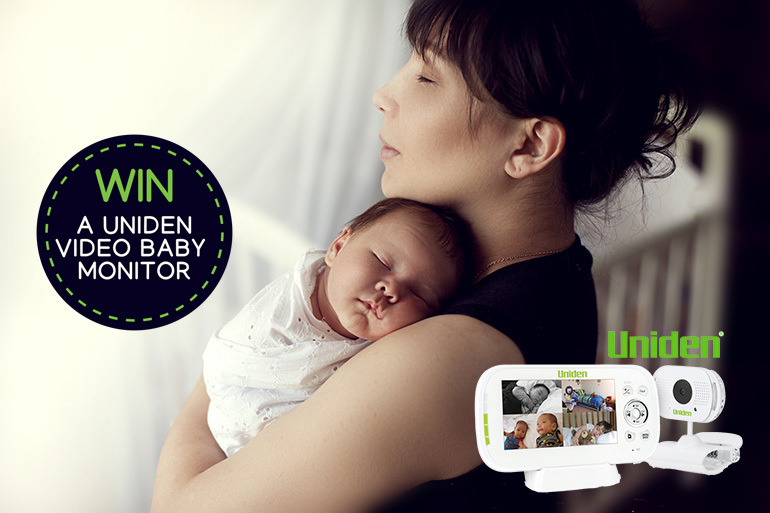 Keep reading to find out – and for your chance to win a BW 3101R Baby Watch video monitor. 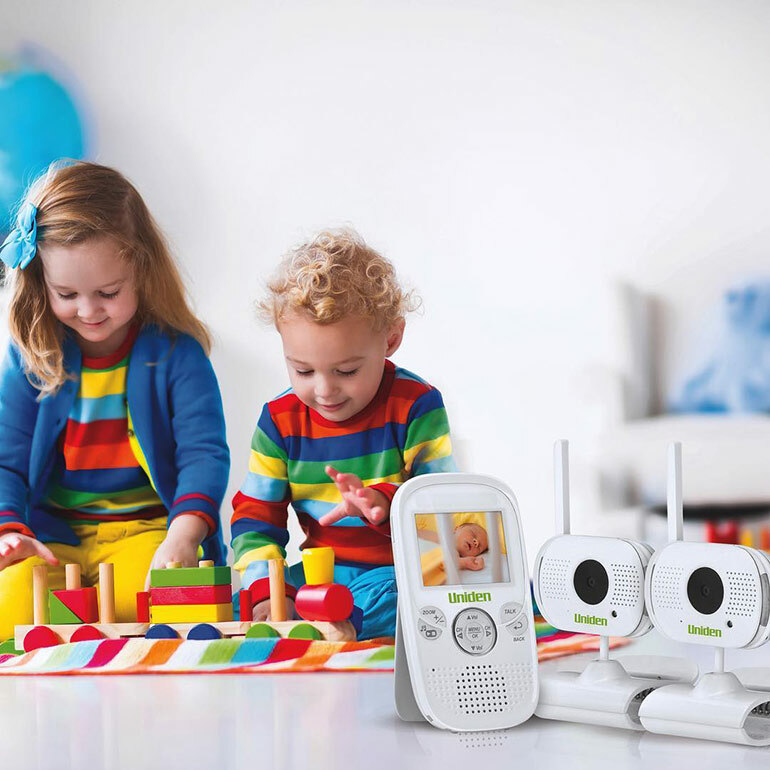 We have two to give away, valued at $249.95 each and part of the award-winning range of smart baby monitors from Uniden. 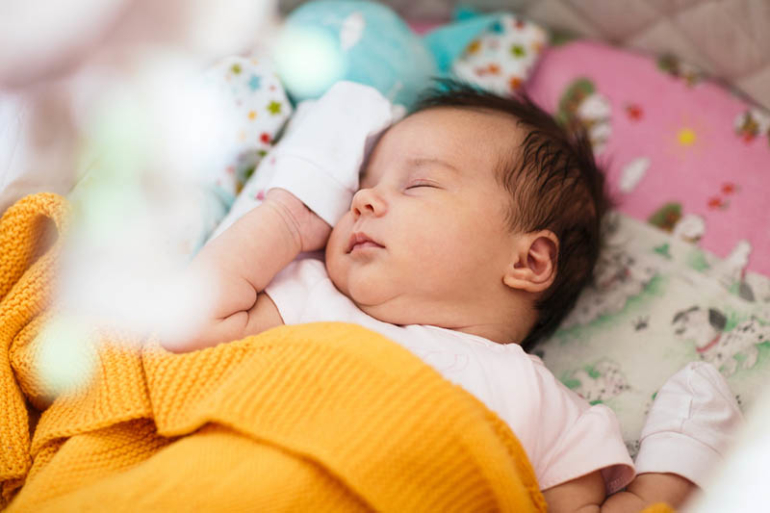 When it comes to buying a baby monitor, we all want the same thing – an easy-to-use device that comes with a clear image, a safe signal AND a strong connection so you can keep an eye on baby no matter where you are. Is that really too much to ask? The Uniden Baby Watch range includes a number of different monitors including the new BW 3101R (pictured above). You can find Uniden baby monitors at Baby Bunting, Baby Kingdom and JB HiFi, often for a special price. Check out the Uniden website to compare baby monitors in the range and find current deals. What makes Uniden BW Baby Monitors stand out? Here are a few things we love about them (and we reckon you will too!). These days having a baby monitor that connects to an app is a must. Why? Because it means you can watch bub snooze, play or simply sit there being adorable from anywhere in the world. Even when you’re at work, running errands or out for dinner with the hubby, you still want to know if bub is okay, right? The Baby Watch App lets you do just that and with a crystal clear picture and excellent coverage. The app is free and super easy to use too. Simply download it, connect it and you can check on baby through your phone whenever you want. Okay, so the app is pretty cool. But by far the best feature of Uniden Baby Watch baby monitors, including the BW 3101R, is the walkie-talkie feature. Yes, not only do you get a baby monitor, but also a walkie-talkie to talk to your baby or child. I can’t even stress how cool this is, especially for older kids who need the sound of mummy’s voice to help them settle. Plus, if you notice your toddler is stirring too early, you can easily soothe them back to sleep without putting your feet on the cold floor! Nice one, Uniden! These include a cool clamp-thingy for the camera that attaches to a cot or bookshelf. The monitor and camera are also portable so you can put them almost anywhere to watch your baby. Plus, Baby Watch monitors play a selection of lullabies to help soothe bub to sleep (and give you a break from singing or making strange shushing sounds in the night). There’s also a night light, a safe digitally encrypted signal and a temperature alert and display so you can easily control the room temperature and dress bub in the right bedtime gear. No parent wants to worry that baby isn’t okay, that their baby monitor failed them just when they needed it. This is something you never have to worry about with the Uniden Baby Watch range. Pick yours up today or scroll down for your chance to win a BW 3101R model. 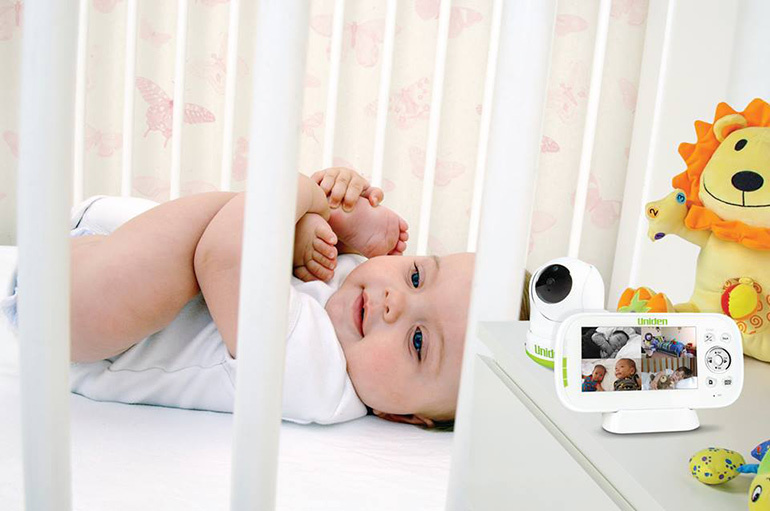 We have two Uniden Baby Watch 3101R Video Baby Monitors up for grabs, valued at $249.95 each and delivered to your door. Could you be one of our lucky winners? 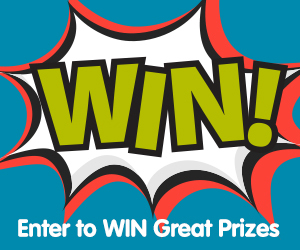 Now’s the time to enter and find out! Is this for outside of the US? I tried selecting a state and South Carolina isn’t an option. 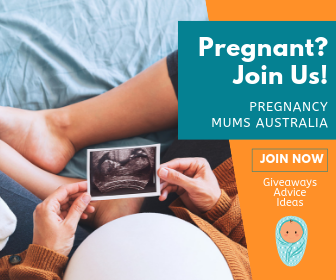 An amazing prize that would make such a difference to everyday life, thanks Mum Central and good luck everyone.